Sasha Arms, travel writer and editor of Carl Goes city guides for curious and creative people, checks out the best of southern Spain. The capital and largest city of Andalucía is a warren of charming cobbled streets and welcoming squares. Never out of earshot of a street musician, nor more than a stone’s throw from a tapas bar or a Seville orange, days and evenings in Seville feel romantic and steeped in culture. The city is full of must-visit sights and attractions. Top of many lists is the Alcázar of Seville, the royal palace and UNESCO World Heritage Site with Islamic and Christian influence. Stop at the Fuente de la Fama in the gardens every hour to hear a 17th century hydraulic organ playing. 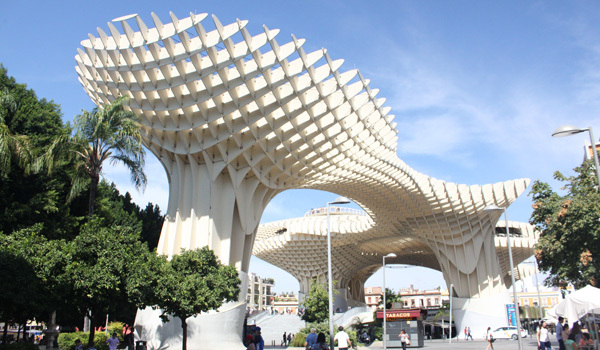 On the other end of the spectrum, the Setas de Sevilla is a modern architectural construction that looks like a mushroom, and offers fantastic views over the city. 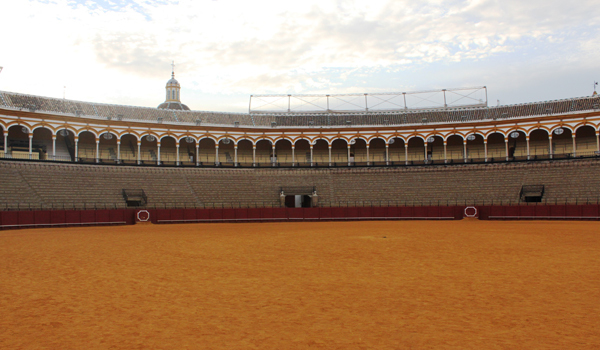 Sevilla Cards can make visiting many of the sights easy and cost-effective. 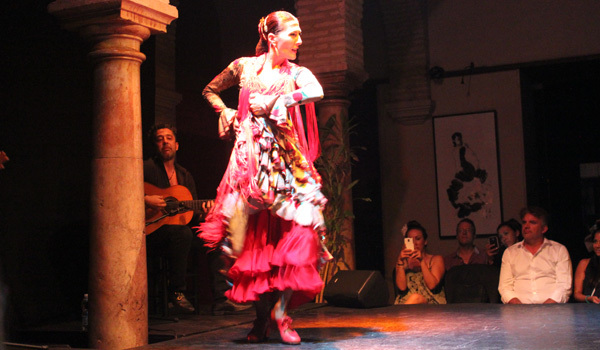 Among the attractions included in the card are tours of Seville’s famous bullring and entry to the flamenco dance museum (Museo del Baile Flamenco); pay extra to watch an evening performance of dance too. Visitors to Seville have their pick of amazing restaurants to dine in. Head over to Habanita, a Caribbean and Mediterranean restaurant squirrelled away on a side street, for deliciously seasoned and crisp yucca, black beans and rice, and codfish croquettes. As well as the delectable food, the courtyard seating offers a cool and peaceful respite from the heat of the city. 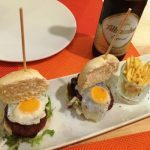 For those who don’t want tapas every day of the week, Burguett is a must-visit option. The upscale burger joint takes pride in its creations, which is clear from every single bite of the tender and expertly seasoned burgers. The Andaluza burger in particular gives a taste of the region, packed full of chorizo, ibérico ham and green chillies. With special burger knives and herby fries, it’s the place for fans of the real deal when it comes to burgers. 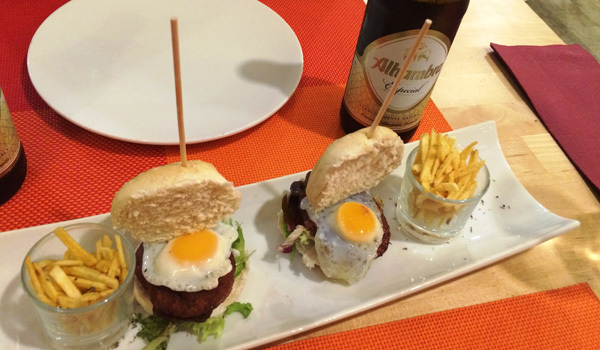 For a modern take on tapas, Sal Gorda is a lively option near Iglesia del Salvador. Inventive menu options include sea plankton cones and strawberry gazpacho, while the Ibérican pork cheeks are melt-in-the-mouth tender, and the mushroom and langoustine risotto is homely and delicious. In terms of where to lay your head for the night in Seville, Corral del Rey is a gorgeous boutique option. Found inside the restored 17th century Casa Palacio, the small hotel is all-at-once luxurious, grand and discreet. Roman marble columns and original carved wooden beams give a feeling of refinement; while the Andalusian touches in the interiors give a feeling of cosy contentment. Across the road from the main hotel, a couple of suites can be found with rooftop terraces and plunge pools. Despite the central location, these terraces are tranquil and privileged spots in the city. The Corral del Rey attention to detail pervades through breakfast time too, with freshly squeezed Seville orange juice, Seville orange marmalade and delicate pastries. 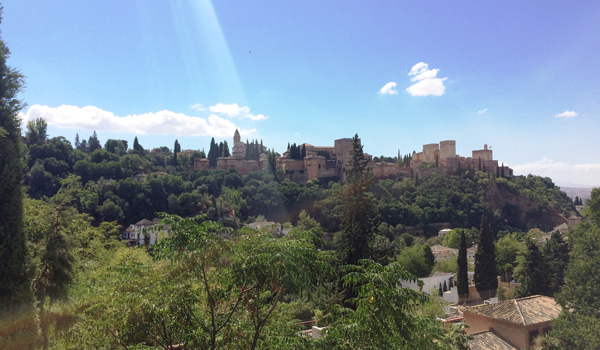 Just a three hour drive from Seville is another renowned Andalusian city, Granada. Sitting proudly at more than 700 metres above sea level, the city is overlooked by the fairy-tale-like Alhambra Palace atop a verdant hill, visible from most spots in the city. The beating heart of Granada is the Albayzín neighbourhood, the old Moorish quarter of steep hills and winding cobbled streets, most of which are only accessible by foot. 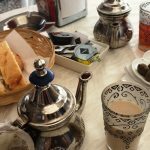 This is the place to explore and get lost, taste Middle Eastern teas in cute cafés and enjoy the view of the Alhambra from Plaza San Nicolas. 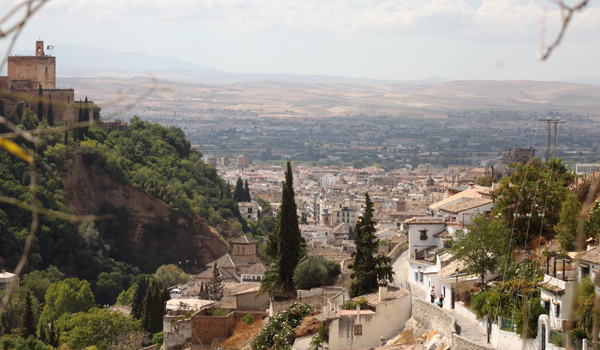 Beyond the Albayzín is Sacromonte, characterised by cave houses and a traditional centre of flamenco song and dance. Several flamenco venues inside caves come to life in the evenings, but even by day this is a fascinating neighbourhood to explore. Those prepared for a little uphill walking are rewarded by a visit to the Sacromonte Museum, where cave houses can be explored and more stunning views enjoyed. 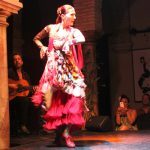 To enjoy lower key flamenco music in the evening with more of a local atmosphere, buy tickets for the Peña La Platería in Albayzín. Sitting inside a room with just twenty or so people is a mood-filled and local experience not to be missed. When it comes to food, visitors are truly spoiled for choice in Granada. The city is famous for the free tapas handed out with every drink, so food adventurers can go on a culinary journey in Granada every single day. Calle Navas is the famed tapas street, but some even better options are tucked away off the beaten track along side streets. Not far from Calle Navas is El Conde, the best of the best we came across in the city. The modern interior pocked with moustaches has a warm and playful vibe, and the tapas are consistently inventive: intricately crafted, bite-sized burgers topped with tiny fried eggs and miniature fries when we went. Patatas bravas quirkily come with sauce-filled pipettes, while the chicken is a house speciality with a loyal following. The meat-free zucchini meatballs are crisp and flavourful; even the tomato salad is bursting with flavour, and diners notice the distinct Greek element to the food too. Bodegas Castañeda is a more traditionally-styled tapas bar with a local following. 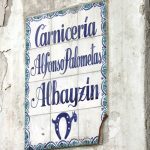 Specialities include habas fritas (roasted or fried broad beans), chorizo Andaluz and bacalao fish. 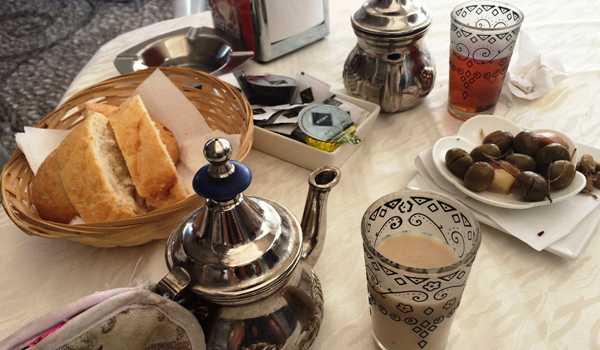 The food is served alongside traditional drinks, including a locally brewed beer, Al Andaluz. On calm, warm evenings, dining at Hotel Carmen’s rooftop terrace is a treat, watching the sunset over the Alhambra. Portions are large enough to share just a few dishes: the fried artichoke with asparagus and a creamy sauce is outrageously good, as is the Nikkei ceviche. Washed down with small bottles of cava or Alhambra beer, it’s an ideal way to spend an evening. By far the best neighbourhood to stay in Granada is the Albayzín, and Casa Bombo is the place to be. The simply decorated house with just a few rooms and suites blends Moorish architecture with some of the hippy style the neighbourhood has become known for. The communal living space has comfortable sofas and a guitar, while the view out the window perfectly frames the Alhambra on the other side of the river. Breakfast-times are spent watching this view from the terrace by the plunge pool: life doesn’t get much better. Evenings can be spent in a similar manner, washing down an Alhambra beer while the sun goes down. 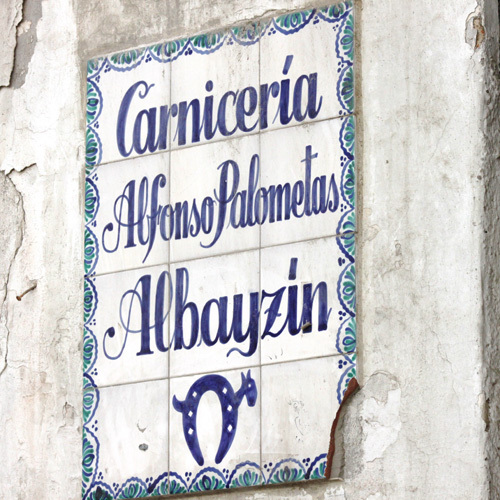 It’s easy to quickly get into the Albayzín way of life from Casa Bombo; it’s no wonder so many visitors return again and again. The glamourous coastal resort town of Marbella, or ‘Marbs’, is a popular spot from which to explore Spain’s famed southern ‘Costas’. An exclusive haven for expats and those generally enjoying the good life, there’s something going on everywhere you look. This includes enjoying the coast in its full capacity by going out on the water itself. 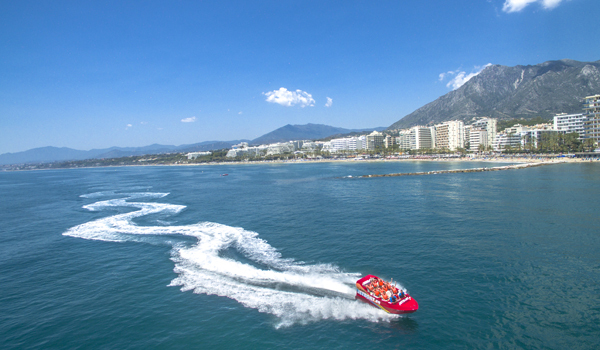 Jetboat Marbella offers an exhilarating speedboat journey of 360 degree turns, water slides and power brake stops with tidal-wave-esque results. It’s a thrilling way to get into the day and enjoy Marbella’s coastline at its best. From one extreme to another, have a relaxing time in the spa at Amàre Marbella Beach Hotel. The spa has a hydro circuit, ideal for enjoying before an indulgent massage. The hour-long relaxing couple’s massages form the ideal way to complete a Marbella day. 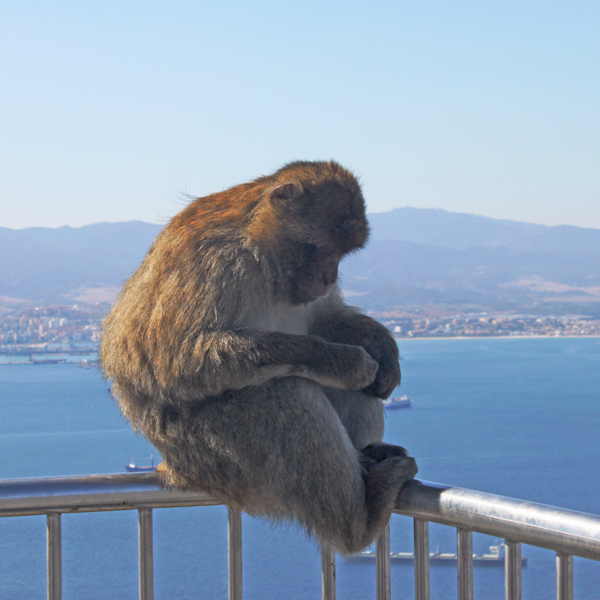 Marbella’s also the perfect spot from which to enjoy a day exploring the British Overseas Territory of Gibraltar, whether it’s meeting the monkeys at the top of the rock, getting lost in lost in the tunnels inside the rock, or splashing out in the casino in Sunborn Gibraltar, built on the water on a super-yacht. For food in the Marbella area, visitors are spoiled for choice. 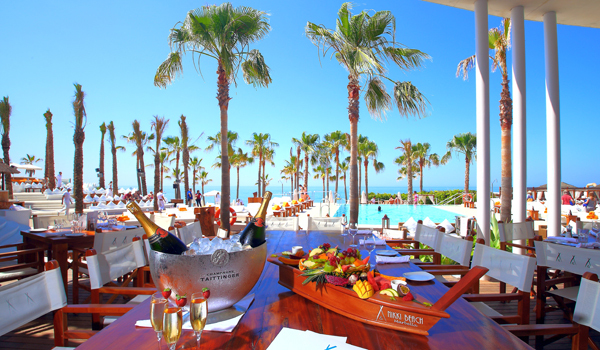 Lunch at the sophisticated Nikki Beach is a must-do for any visitor looking for a special meal in the area. The platters, in particular, are designed to impress. The Nikki Beach Dubai mezzeh and dips have fresh farm vegetables and pillows of pitta to dip in the hummus, mohamarah and baba ghanoush. The Sushi Dragon platter comes on an intricately carved wooden ornament, with equally impressive spicy tuna rolls and Saint Barth salmon rolls. Those looking to truly splash out have the option of champagne poached Canadian lobster topped with 22 carat gold dusted perlita caviar. Further along the coast, Le Papillon Restaurant & Beach Club is found on another enviable beach-side location, attracting visitors and locals alike. Food is often served to the backdrop of smooth live music. The house paella comes laden with seafood, including giant langoustines, and is huge in size, while the house choice of wine is top notch. It’s a wonderful place to while away an evening. The Beach House Marbella is another popular restaurant, packed out most evenings with families enjoying the direct access to the beach and couples looking for quality cuisine. The restaurant has several specials every evening, such as the creamiest croquettes stuffed with ingredients such as feta cheese and oregano. Mains include the likes of delectable blackened sea bass with peanut Pad Thai, or juicy fillet steaks with double-fried chips. And finally, The Playwright Marbella, tucked away in an unassuming location, was one of our favourite finds in the area, where staff achieve the often elusive perfect level of interaction and discretion in their service. The food is of an equal quality, with some of the best prawn pil-pil in the area and indulgent deep-fried brie with mango, ginger and strawberry salad. And that’s just for starters. Some of the best mains come in the form of salmon with dill beurre blanc and the roast rack of lamb, as well as plenty of seasonal daily specials. A practical spot to be based from in Marbella is Hotel Vime La Reserva de Marbella, where rooms are basic but have everything you need. Facilities centre around a central area pocked with trees, and range from three swimming pools and a sauna, to an on-site bar and restaurant and options for breakfast and other meals to be included. This mountain-side city is famed for its dramatically deep gorge and Moorish old town with picturesque side streets and yet more impressive views over the surrounding countryside. This is a place from which to enjoy rural Spain, and there’s no better place from which to do it from than Hotel La Fuente De La Higuera, a boutique hotel found inside a centuries old olive mill. A hotel with just five double rooms and three suites, it feels more like a ‘home from home’ than a traditional hotel. Rooms and suites are impeccably furnished, with lavish touches such as bed canopies and free-standing baths. Terraces offer privacy and incredible views over the olive groves, while communal areas include an inviting swimming pool, a terrace and a cosy living room complete with honesty bar. Guests are also invited to ‘dine at home’ in the evenings, served food by the owners’ son and renowned chef, Pablo Piek, who has trained in Michelin-starred restaurants. Food includes seasonal and local flavours, from rustic lentil soups to light, pan-fried fish and masterfully prepared meat options. Washed down with local Ronda wines, this is a not-to-be-missed place to dine in the region, whether you’re a hotel guest or not. 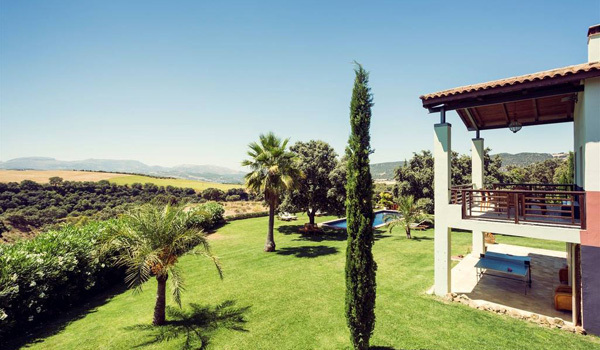 Those looking for an extra-special Ronda adventure with a group of family or friends should look no further than The Lodge Ronda, an impressive standalone property run by the same proprietors. With a private swimming pool, and outdoor terraces offering views over the rolling countryside, this is a true slice of heaven. Inspired by the lodges found in Africa, The Lodge is found on 22 acres of private land and has seven boutique rooms, each with a private bathroom, and some with their own fireplaces. The same attention to detail can be found in The Lodge as it is in Hotel La Fuente De La Higuera, with homely touches including a fully stocked fridge, original artwork and ornate Andalusian furniture. And whether you’re cosying up inside by a fireplace during winter, or relaxing in a hammock outside during the summer, The Lodge is an indulgent chill-out destination. The pièce de résistance is that private events can also be catered by Chef Pablo. True understated luxury in Ronda; that’s the name of the game. How To Get There: Málaga-Costa del Sol Airport is the fourth busiest airport in Spain, and it is the largest airport in southern Spain, and is served by over 40 domestic and international carriers including Aer Lingus, British Airways and SWISS. If you’re flying from the U.S., Delta Air Lines is the only U.S. based carrier that offers nonstop service (in partnership with Air Europe, Air France, and KLM) from New York JFK Airport between June and September. All other carriers require 1- to 2-stops depending on your origin. If you’re comfortable driving in a foreign country, renting a car is the most convenient way to get around. But for the adventurous, you can always opt to use busses and/or trains to get around, as there are plenty of service lines around the region. More information about area transportation is available here. Best Time To Visit: Spring and fall is generally the best times to visit Southern Spain, when the weather is temperate and it’s before and after the summer crowds. If you like your weather hot, summer in Andalusia is the perfect time, as the average temperature in July and August is in the low 90s.